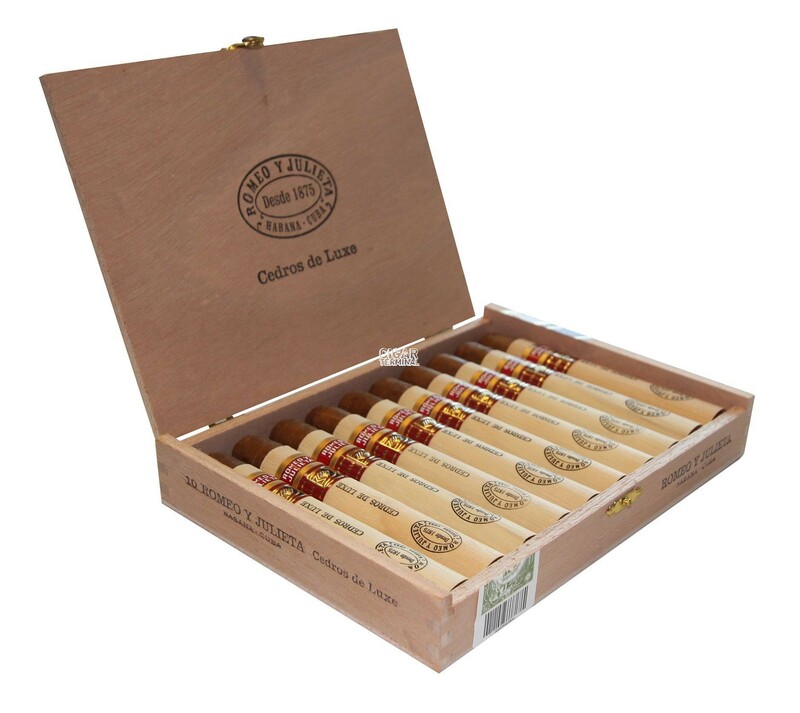 The Romeo y Julieta Cedros de Luxe LCDH is an elegant Habano, a Robusto Extra, of 50 ring gauge, 5.6” (141mm) long and comes in a box of 10 cigars. The Romeo y Julieta Cedros de Luxe is a very well constructed mild cigar that fits perfectly for a nice morning smoke. 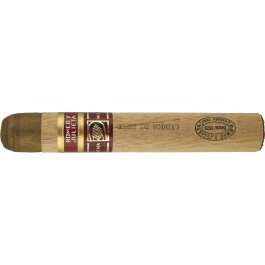 • Medium bodied cigar, very smooth smoke and never too aggressive. • Amazing blend, sold specifically at La Casa Del Habano shops around the world, is a must try. This cigar is a great choice to see what the Cedros de Luxe line is all about. 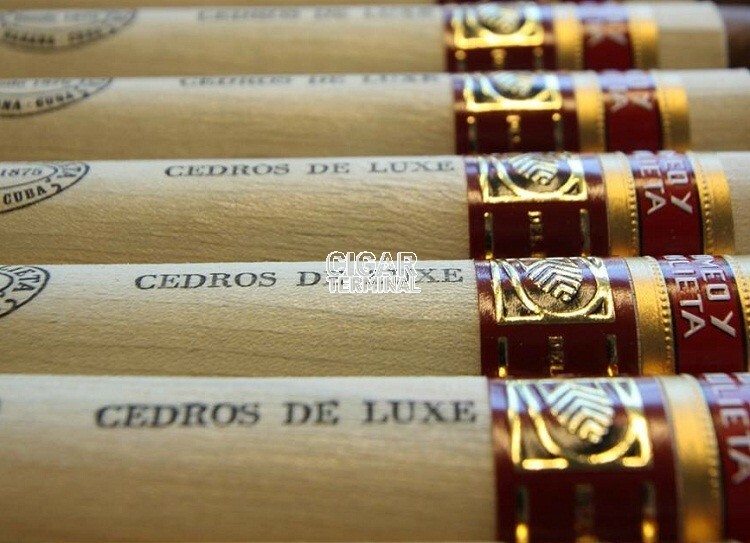 The Cedros de Luxe comes with its cedar wrapper, on which a specially designed Romeo y Julieta band and the La Casa Del Habano band are. Once the cedar wrapper removed, it reveals a beautifully constructed cigar, of light caramel/milk chocolaty brown color. It is pretty smooth to the touch, but not as silky. Some veins are apparent. It is pretty firm without any apparent soft spots. The foot is well packed and the head is pretty with a nicely applied triple cap. The wrapper, as one can expect, smells of nice cedar. The foot is woody. Once cut, the draw is nice, not too easy. When lit, the Romeo y Julieta Cedros de Luxe releases a creamy white smoke. The draw remains good throughout. A small tunnel started to create in the middle third, but it corrects itself, nothing to worry about. The ash is of grey to white color, not too dark. It is holding on nicely for more than 2 inches without affecting the draw whatsoever. The first third of the cigar is smooth and subtle. The flavors start on the mild side, mostly with some woody taste, mostly cedar and plenty of cream. Soon after, some faint pepper comes forward, while the flavors get slowly stronger. The Cedros de Luxe is medium bodied in at this stage. The strength is not over powerful and allows us to enjoy all the flavors. There is neither bitterness nor any harshness. The aftertaste is long and nice. The middle third starts off with some earthiness. The woodiness is still around, with the addition of some roasted coffee notes. The aftertaste on the palate is still very good. The flavors remain well balanced and they are between the mild and medium level. The cigar is still incredibly smooth and creamy. The draw is still amazing. In the final third, some leather also joins the mix of roasted coffee and cedar. The flavors are at a medium level. The burn and the draw remain amazing, and do not require any attention. Some spicier notes start to emerge towards the end, along with the earthiness. A great construction, a great blend and a smooth cigar until the nub. In summary, this is a very attractive smoke both for beginners and for creamy smoke aficionados.